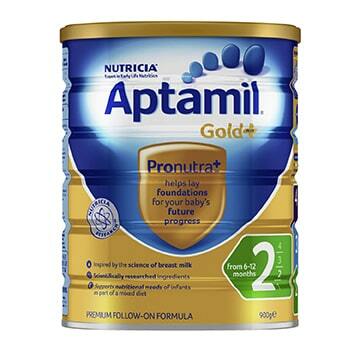 Aptamil Profutura Follow-on Formula is based on cows' milk protein. Breast milk is best for babies. Before you decide to use this product, consult your doctor or health worker for advice. Dental Hygiene: Putting your baby to bed with a bottle can cause tooth decay. Nucleotides: Cytidine-5'-monophosphate, Uridine-5'-monophosphate, Adenosine -5'-monophosphate, Inosine -5'-monophosphate, Guanosine-5'-monophosphate. Aptamil Gold+ 2 Follow-On Formula 6-12 Months 900g is rated 5.0 out of 5 by 21. 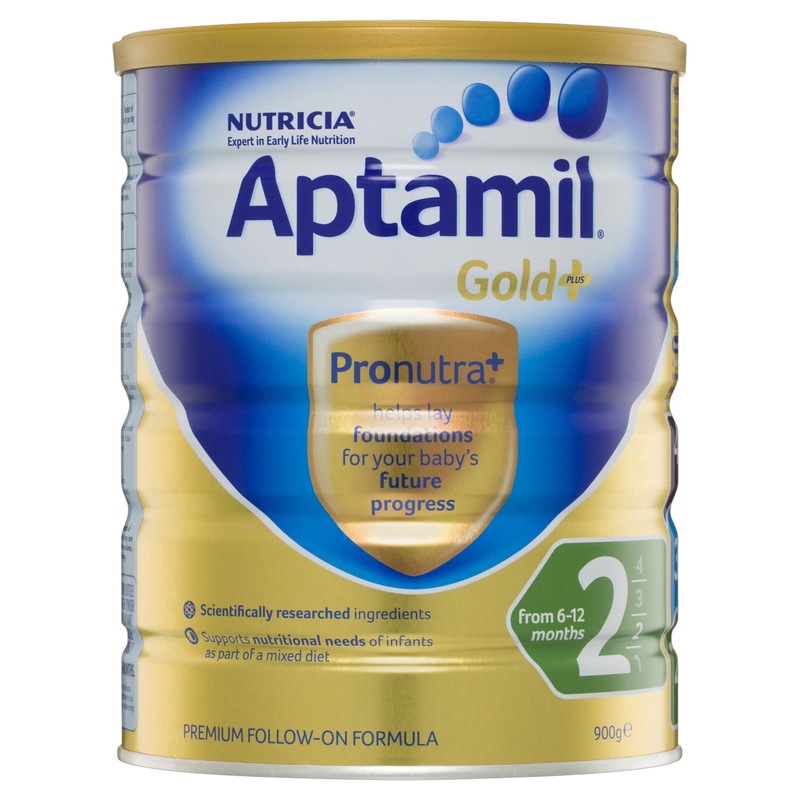 Rated 5 out of 5 by Stanjil from Great formula for an active bubby My bub loves the taste. Rated 5 out of 5 by CatrinaO from Reliable Brand The Stage 2 Aptamil has integrated nicely especially consider we have just started solids as well. Nice to know I can get peace of mind free delivery with chemist warehouse so my daughter gets the formula that agrees with her the best.